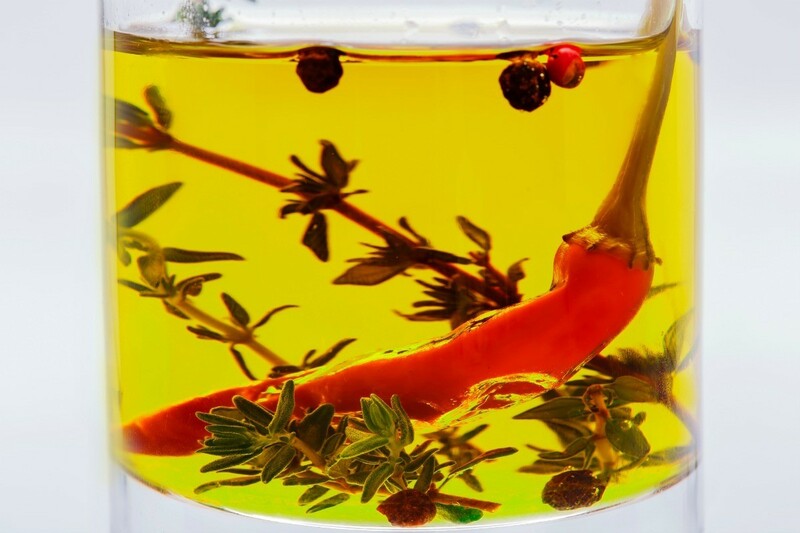 This is a guide about making infused oils. Serving your own homemade flavored oil can be delicious, and inexpensive to make. Experiments can always create anything. So I was at first thinking of making a scented candle. The problem is that essential oils were out of stock in the market so I had to make one. I searched for it on the internet and found some simple steps. All you need to know is the kind of carrier oil your going to use and its availability. I'm thankful to have discovered one kind of oil that's really easy for me to find. Start boiling the water. 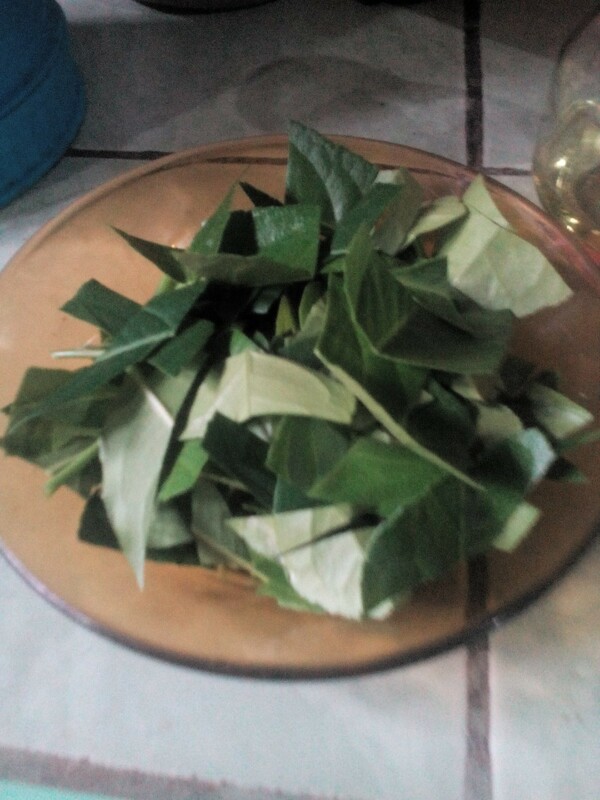 Meanwhile, cut the leaves into small strips. 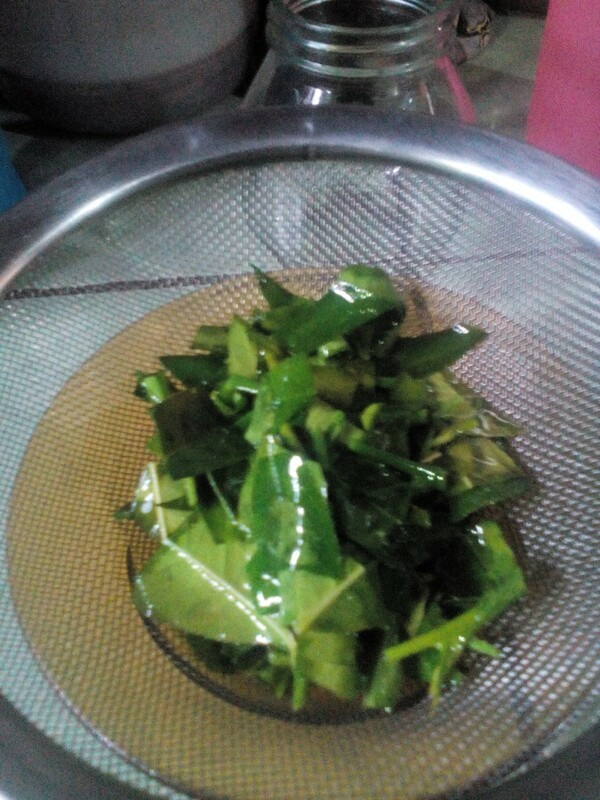 When the water starts to boil, transfer the leaves into a heat resistant bowl and place it over the water. 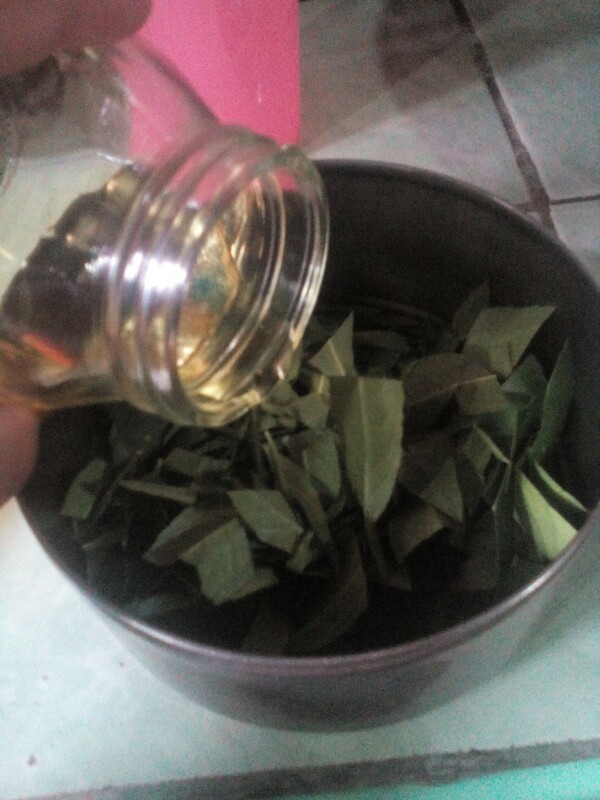 Then pour the oil over the leaves. Take note that you have to use enough oil. I found out that when the amount of herbs exceeds the volume of oil, it will be a disaster. Make sure to use more oil so the essence will be properly distributed. 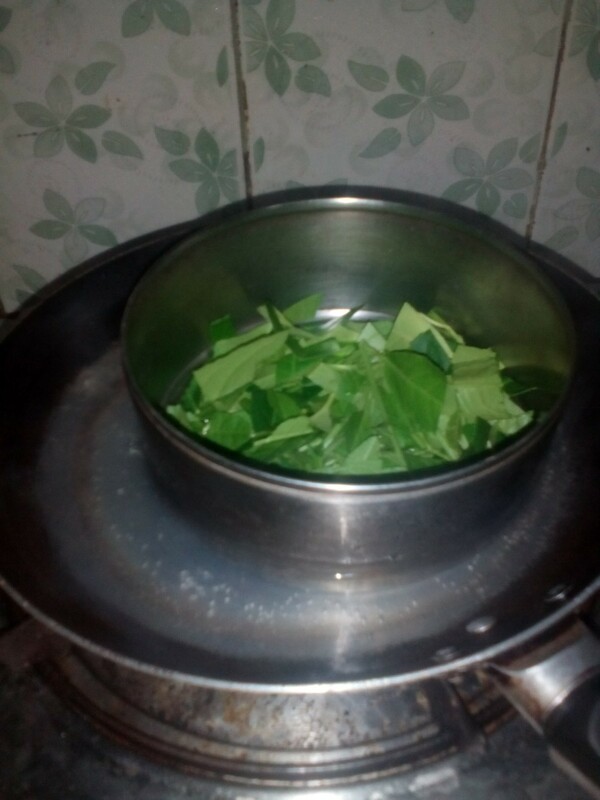 Wait for about 2-3 minutes, but do not overcook the leaves so that it won't lose the fresh essence of the herb. Remove from heat and pour into strainer. Transfer oil into a jar or bottle. I realize that some of the things I send in call for oils. Do not buy them, you can make them as easy as ABC! I go to Vitamin Cottage and buy the herbs I need in the herb section. I never buy spices at the grocery stores because herbs are better tasting and cheaper! When you have your herbs, get a small crock-pot, pour in equal amounts of olive or peanut oil and your herb you are using. Peanut oil is really my favorite, bit most of the time I have olive oil in the cupboard. Set the crockpot on low, cover and leave overnight. Check on it in the morning. If you want to make it stronger, add more of the herb and let it cook all day. Pour into a dark colored bottle and put in a dark place. Use a drop of two, as it never takes much! If you have no dark colored jars, I wrap the jar in a towel. There you go, making your own and not paying 15 dollars for a tiny bottle! Editor's Note: Unlike acidic flavored vinegars, infused oils (especially garlic) can be a home for food borne illnesses, such as botulism. 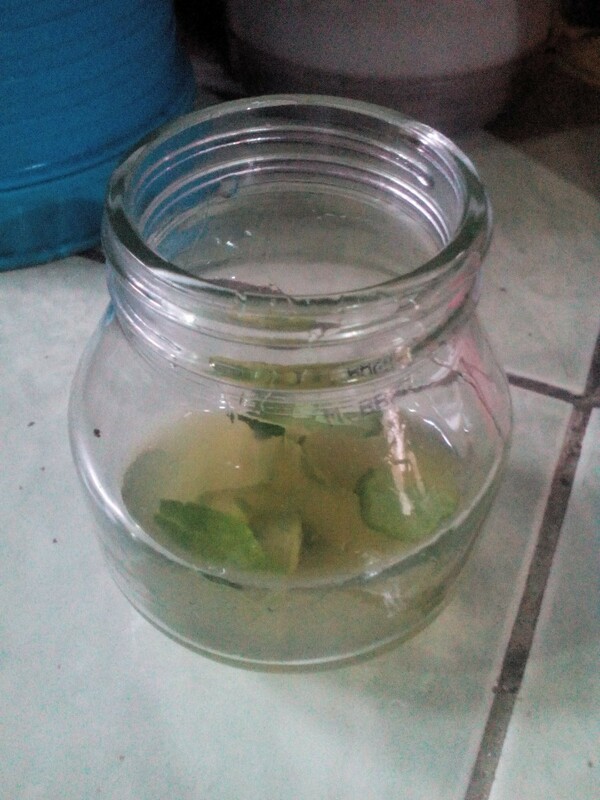 Keep all homemade oils refrigerated and discard after one month. Ball has come out with a special "ice" tray for making the herbed olive oil cubes I talked about in a previous post. You put in your favorite herbs or combo of herbs, then add olive oil or coconut oil. Then you put the lid on and freeze. The herbs will infuse the oil while they sit in the freezer. Question: Is Homemade Flavored Olive Oil Safe? 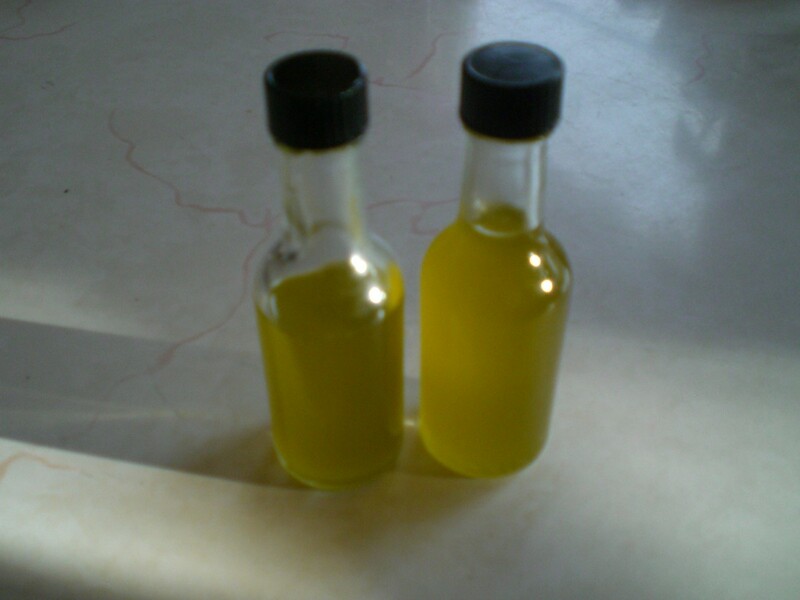 I was given a bottle of homemade flavored (herbs and garlic) olive oil for Christmas. The friend who made it states it has not been refrigerated. Is this safe to consume? Hi. I've thought that before as well. The olive oil was probably fresh because sounds like she made these for at least a couple of people as gifts. That would make sense to me at least. Since it is probably freshly opened, you can use it as you normally would use olive oil. Keep it under cap when you're not using it. That's how i would approach it. I read that you should never trust any homemade oils with garlic in them because they could cause botulism poisoning very quickly--there is NO cure. I personally wouldn't take that chance. Do a little research on the internet just to verify that information and then you will know for sure. I have read that people who use home kitchens do not have the equipment to prevent botulism. Keep it to look at, but that's all. And warn your family. It is probably not safe, and I wouldn't take the chance. I just read in one of my cookbooks that garlic in particular, in oil is can develop into botulism. I wouldn't use it. In fact I was so alarmed about it, that I will probably not use garlic in any oil, even refrigerated. It could be wrong, but the book said that garlic is the only thing that will do that. Apparently other herbs are okay. although I would think dried herbs would be safer. And I would certainly refrigerate any oil/herb combination just to be safe. Did she use any vinegar in it? If you put a small amount of vinegar in with the herbs and garlic when she made the flavored oil, it should be OK. The vinegar keeps botulism (from the garlic) from forming. But it still should be refrigerated. If she didn't use any vinegar, I'd thank her profusely, then toss it--better safe than sorry. Thanks to everyone who responded to the olive oil query. I though I had read something somewhere about botulism. I hate to waste, but I'd hate even more to get sick! Into the trash it went! I'm a little behind on postings but in case anyone runs across this in the future I thought this website referencing Bertolli's recommendations explained it pretty well. Where does it even say the ingredients and directions! Editor's Note: It was a request asking about it's safety, not the recipe. I've seen many recipes, especially around the holidays, for infused olive oils. I really want to be able to make some of these as gifts, as well as, for myself. I just don't know how they are used. Can anyone give any suggestions and if using for dressings, please give the infused oil recipe and salad dressing recipe it's used in? Personally, I wouldn't mess with making 'Homemade' herb or spice infused oils. You simply can't process/preserve them properly like manufacturers of infused oils can. Not only do homemade infused oils become rancid quickly they can also easily become tainted with botulism. I don't think the recipients of your well meant gift would appreciate possibly receiving a life threatening disease. Might I suggest making homemade pesto sauce, which can be frozen for months before use, instead? If you're interested I would be happy to share a couple of really good recipes for it. I am wondering if you can keep the herb infused oil in the refrigerator, that would be safer to keep it from having botulism contaminant. 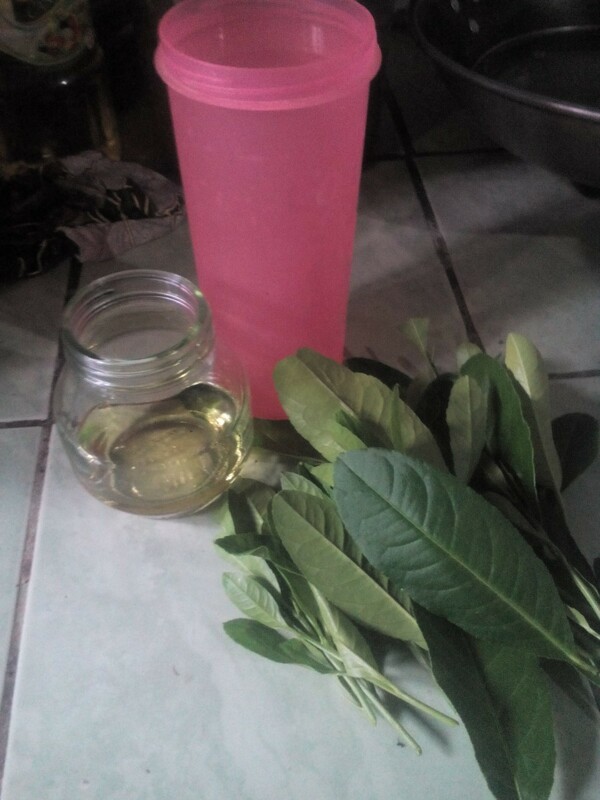 Hi Marcia S, the problem of tainting can be caused because of improper bottle sterilization and also because the herbs must steep in the oil outside of the refrigerator for at least a week before straining and refrigerating. Even then the strainer might not be sterile enough. How long do bottled, flavored oils and vinegars last? The site is a wealth of information on almost anything you might have stored in your kitchen. It depends on exactly what herbs or feeds are used & if they are in oil or vinegar. Some store-bought products as only for display. But the ones made for consumption that are professionally bottled & sealed will last about a year or so, until the are opened. Once opened, they need too be refrigerated & will last 2 to 3 weeks. If you make them yourself, they need to be refrigerated once the oil & herbs (or oil & garlic, etc) meet & will stay safe to use for only a few weeks. Vinegar with herbs (or garlic, etc) will last a longer than the fancy oils, but Refrigeration is still VERY important! Shelf life is super important with these items because you can get food poisoning (botulism) if you're not careful. Commercial garlic-in-oil mixtures are acidified to prevent bacterial growth. Most of these store-bought products can be stored safely at room temperature look for storage instructions on the label. Unfortunately, do-it-yourself acidification of homemade herb or vegetables-in-oil mixtures is risky because not enough research has been conducted to know how much acid is needed to prevent bacterial growth. These low-acid foods can be a source of Clostridium botulinum bacteria. Clostridium botulinum produces a toxin that causes botulism, a cause of fatal food poisoning. Because these bacteria are found naturally in soil, water and air, they could be found in any low-acid food and begin to grow and produce toxin when the conditions are right. That's why it is crucial to keep food safety in mind when storing your own low-acid vegetables, such as garlic, mushrooms and chili peppers or herbs in oil. -Refrigerate fresh vegetables or garlic-in-oil mixtures, and don't keep them any longer than three weeks. After three weeks of refrigeration, botulinam toxin could have formed. Remove the vegetables after flavoring the oil, and the bacteria will not have a food source for growth. -Use dried vegetables, garlic or herbs to flavor oil. These do not contain enough water to foster bacterial growth. Dried vegetables, garlic or herbs-in-oil mixtures can be stored safely at room temperature. Refrigeration may delay rancidity. -Tomatoes-in-oil mixtures are safe, as tomatoes are high in acid and will not foster botulism-causing bacterial growth. Refrigeration may delay rancidity. -Don't use vegetables-in-oil mixtures that show any signs of spoilage, such as bubbling or cloudiness. or call the OSU Food Preservation/Safety hot line, open through Oct. 1. OSU faculty and trained volunteers staff the hot line at (800)354-7319 from 9 a.m. to 4 p.m. Mondays through Thursdays (except holidays). In addition, the OSU Extension Service offers many food-preservation publications online or in print. Visit the online catalog at: http://extensio  tate.edu/catalog or call (800)561-6719 to request a printed catalog. When I want to change the flavor of a good oil, I always add about 1/2 cup of dried herbs or spices to about 2 cups of oil. If the herbs are not dry they may cause the oil to cloud and look spoiled. A good oil to use is canola or olive both are unsaturated and heart healthy. & at the Dollar General here - we now are so lucky to have a nice ethnic section - so VERY nice ointments are CHEAP & things like %100 PURE beezwax for hands & a very pretty Rose Oil & incredible bargains on exotic items --rare things that once could only be found in specialty catalogs ! I love the floral oils /carrot oil/ the list of what they carry these days is amazing ! I bought a decorative bottle and want to use Rosemary and Thyme from my garden to infuse olive oil. Should I dry them first? Is Homemade Flavored Olive Oil Safe?